Please join us for our Annual Cat Ball Fundraiser on Sept. 21, 2013 at the Sands Ocean Club Resort. We will have an evening of fun, food, entertainment and prizes! Tickets are $45 per person or $80 per couple. This cocktail-attire evening will include happy hour from 6 – 7 p.m., which includes cheese and fruit and your first drink free, and a buffet dinner from 7 – 8 p.m. which will consist of beef, chicken, fish, vegetables, and dessert. From 6 – 10 p.m. we will enjoy music by a DJ, entertainment and dancing along with a silent auction and 50/50 drawing. 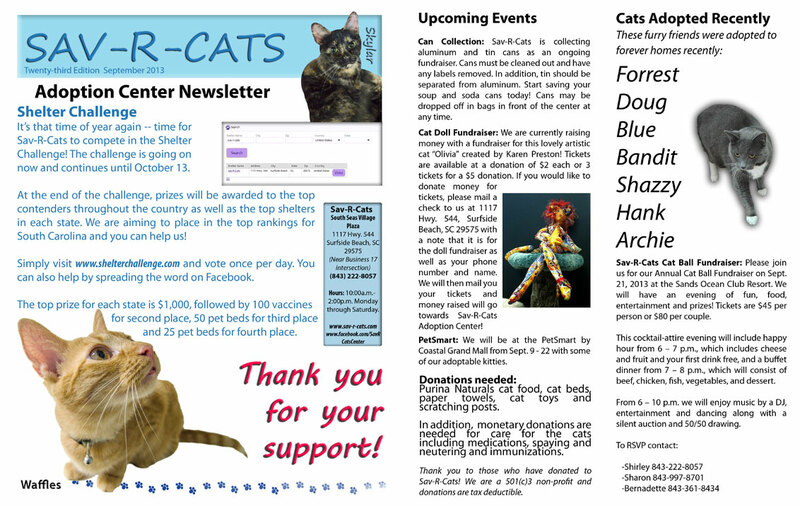 This entry was posted in Fundraising and tagged fundraiser, news on August 19, 2013 by savrcats. 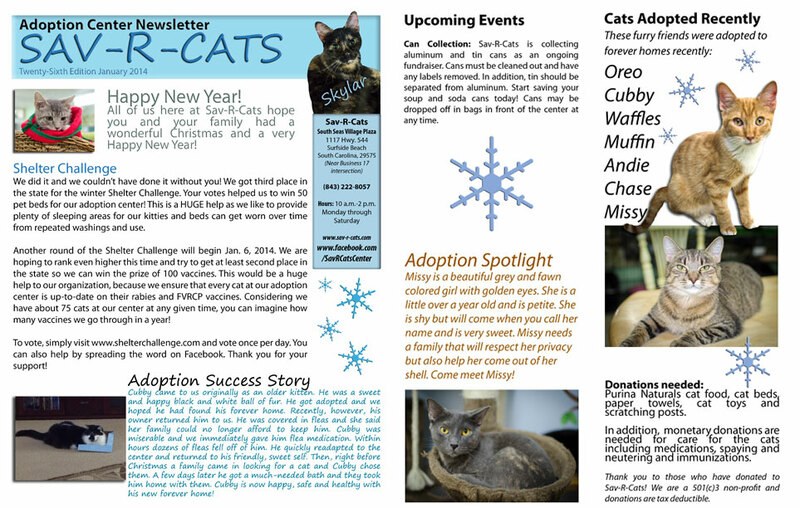 This entry was posted in Uncategorized and tagged news, video on July 19, 2013 by savrcats.